Notorious French criminal Rédoine Faïd poses prior to an interview with a French TV channel in 2010. 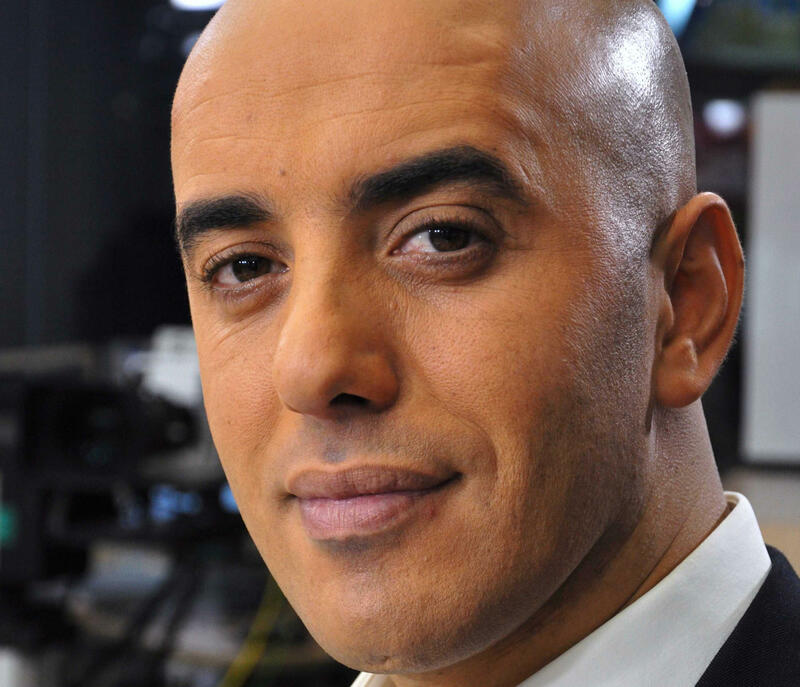 One of France's most notorious criminals, Rédoine Faïd, has been captured three months after he made an astonishing escape by helicopter from a French prison. The repeat offender has fascinated the country, as NPR's Eleanor Beardsley reports, and is known there as the "jailbreak king." He's spoken about how his actions are inspired by Hollywood gangster movies like Scarface. Faïd had been serving a 25-year-sentence for a botched armed robbery in 2010 that killed a policewoman. And, he had previously escaped from another prison in 2013, that time using explosives. "Molins said the gangster was spotted by police on July 24 in the Paris region alongside his brother Rachid - but the pair managed to escape a high-speed car chase. They abandoned their vehicle in a shopping center parking lot in Sarcelles and fled. "Fake explosives inside the vehicle and fake license plates added to a growing stack of clues leading to his capture. "Molins said a major turning point came over the weekend, when police realized that a female accomplice in Creil had 'picked up in her car a person dressed in a burqa whose attitude let them think it was actually a man.' "
Early Wednesday, police descended upon the building where Faïd was staying, arresting him and several others in the apartment. "I heard a racket," neighbor Alliou Diallo told Agence France-Presse. "I saw around a hundred police wearing masks. ... I never thought he could be there." During Faïd's July escape, "two men posing as flight school students forced a helicopter instructor at gunpoint to fly them to the jail," Beardsley reported. "It landed on the only part of the prison not fitted with anti-helicopter nets." (That area has since been covered over with nets, according to AFP). French media described the men aiding Faïd as highly trained and heavily armed. The helicopter was later discovered north of Paris, setting off a massive manhunt. It's not clear where, exactly, Faïd has been all this time, though there have been plenty of rumors. As Reuters reported, "one rumor that was never substantiated suggested he had fled to Israel." Besides serial robberies, Faïd has another reason to be famous in France – he wrote an autobiography about his life of crime. That's why French police call him "L'Écrivain" – "the writer," as the BBC reported. His recent escape prompted "a heated debate in France about whether the country's prisons were secure," Beardsley reported. On Wednesday, Justice Minister Nicole Belloubet said he would not get out this time. "We're going to put him in a high-security facility where he will be watched extremely closely," she said.